Make your own ice lollies with Mr Frosty, the coolest guy around! 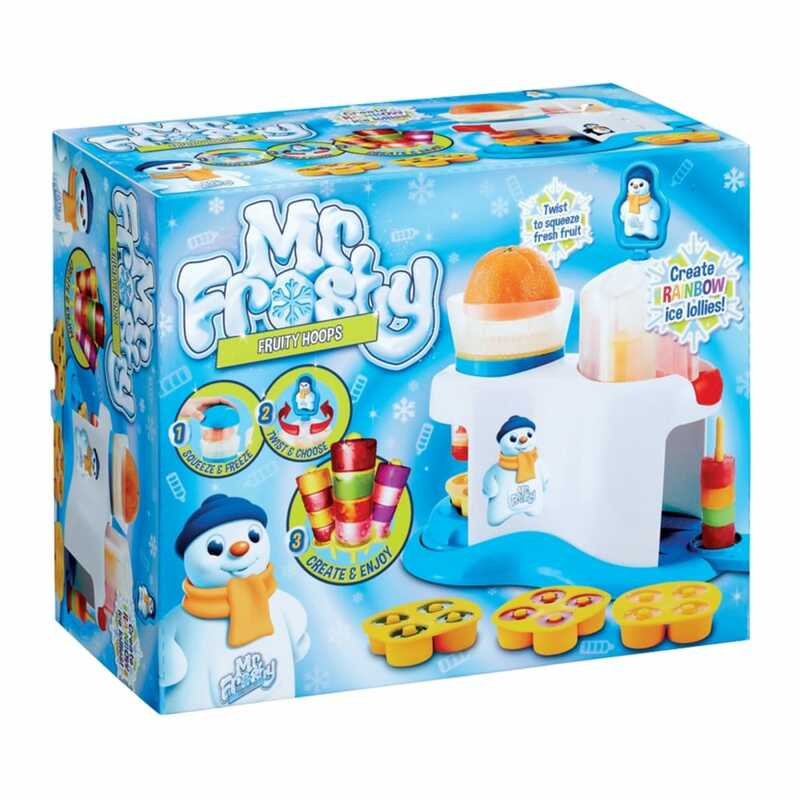 This kit comes with everything to create your own multi fruit ice lollies with Mr Frosty Fruity Hoops Machine! Squeeze your favourite fruits, pour the juice into the ice hoops trays, and then place in the freezer! Pop the frozen hoops in the 'carrousel' and twist to choose the colours you want to make your own colourful and fruity lolly. The Mr Frosty Hoops are a healthy frozen treat which will keep the whole family cool!